You Save $24.30 by purchasing this kit rather than buying the items separately. Sorbitol, Propylene Glycol, Sodium Laureth Sulfate, Stearic Acid, Myristic Acid, Water, Sodium Hydroxide, Sodium Cocoyl Isethionate, Pumice, Lemon Essential Oil, Sweet Orange Essential Oil, Sodium Laurel Sulfoacetate, Activated Charcoal. 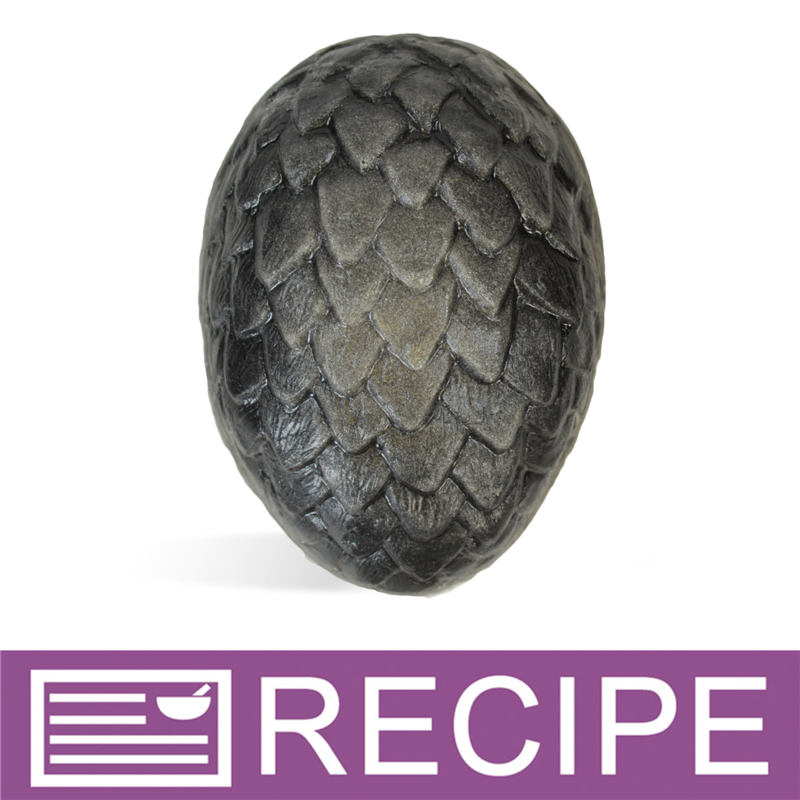 "I would love to buy this kit and use it to make 3 "Game of Thrones" inspired eggs. That would be a black, green and a cream/gold. When changing the colors, would you simply alter the coloring and the scent? Leaving out the pumice and charcoal for the green and cream, of course. Is there anything specific to the black color that you would alter when changing colors and scents?" Staff Answer You will need to experiment with this. We cannot say exactly how the colors will look. For this recipe, it is the combination of the pumice and charcoal that is giving the variegated look to the scales.